Sneakerheads and Kicks on Fire with DJUSA! DJUSA supported not one, not two, but three sneaker events in April. DJUSA provided event production two days in a row for Adidas in Temple Hills and New York City! On Saturday, April 6, DJUSA was at the Iverson Mall Shoe City in Temple Hills, Maryland with custom step and repeats for a special hosted event by Adidas. 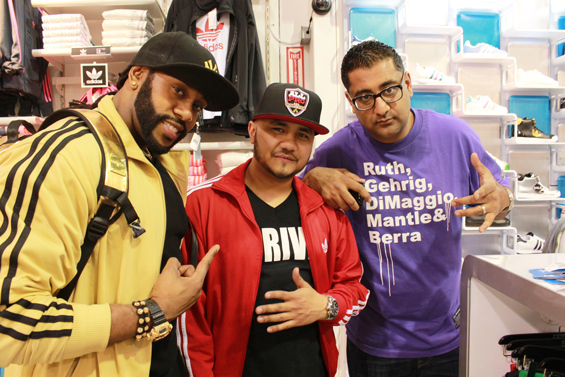 On Sunday, April 7 DJUSA supported Adidas once again with sound production featuring guests DJs Jay-5, Flipstar and Prostyle. The event took place at the S&D Underground located uptown in New York City and celebrated the launch of the Adidas GLC line. 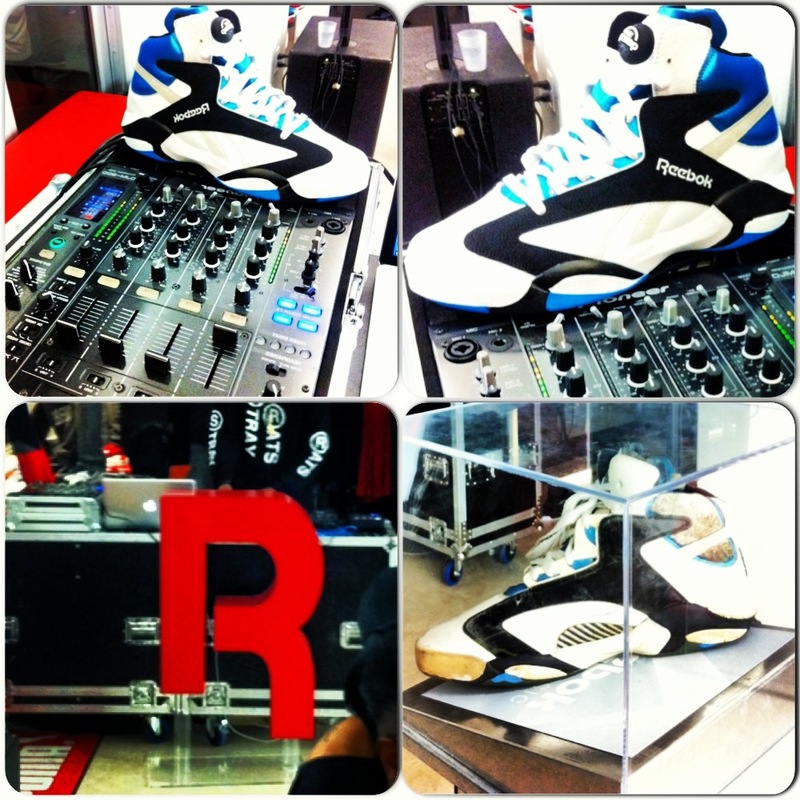 At the Reebok event on Thursday, April 18, DJUSA also rocked with sound production at the 1973 by Mr. R store in Miami, FL. 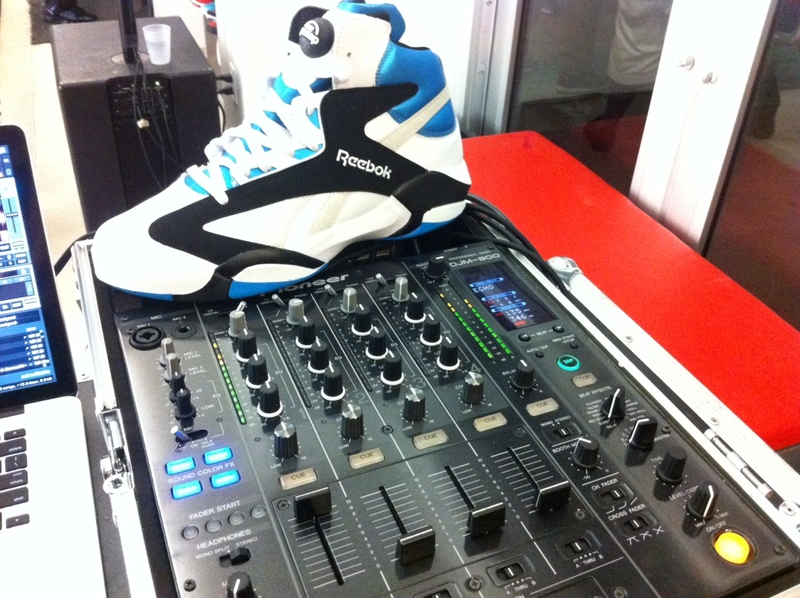 The event marked the celebration for Reebok's Shaq Attaq signature line, which featured sets by DJ Miami Marci. DJUSA looks forward to keeping up with sneaker launch events. Check out the pics to see how we make it happen! Left: Marco Glorious, DJ Jay-5 and DJ Sharad; Right (top to bottom): DJ Prostyle; flyer for Reebok release. 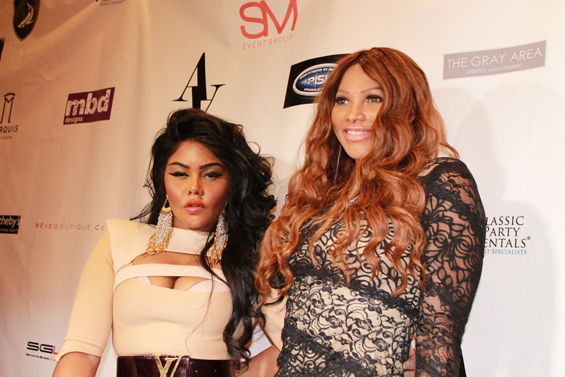 DJUSA at the JDRF Gala with Real Housewives of New Jersey, Lil' Kim and More! DJUSA worked along the Juvenile Diabetes Research Foundation for the JDRF Annual Gala. 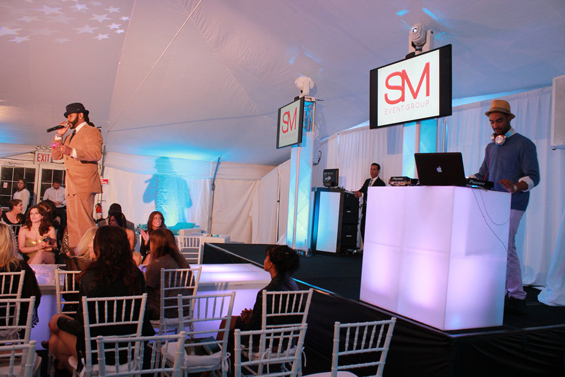 DJUSA provided a gorgeous LED fashion runway, sound solutions and more! DJ Zeke Thomas and MC Marco Glorious were in attendance to make sure that all of the guests were having a good time. In attendance this year were high profile guests including the event's coordinator Jennifer Dalton, The Real Housewives of New Jersey, Lil' Kim, Pepa and more! 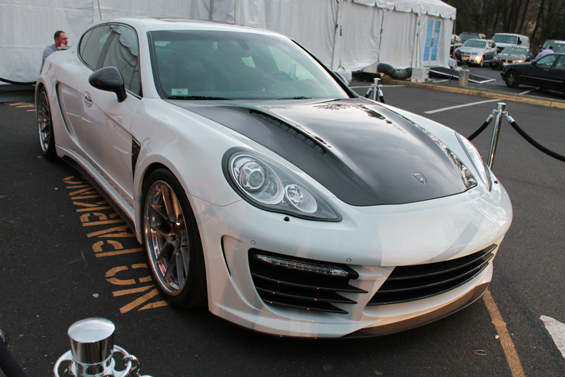 Take a look at our exclusive event photo gallery! Top Left: MC Marco Glorius and DJ Zeke Thomas; Bottom Left: Lil' Kim and Pepa; Right (top to bottom): Melissa of RHONJ; Porsche. 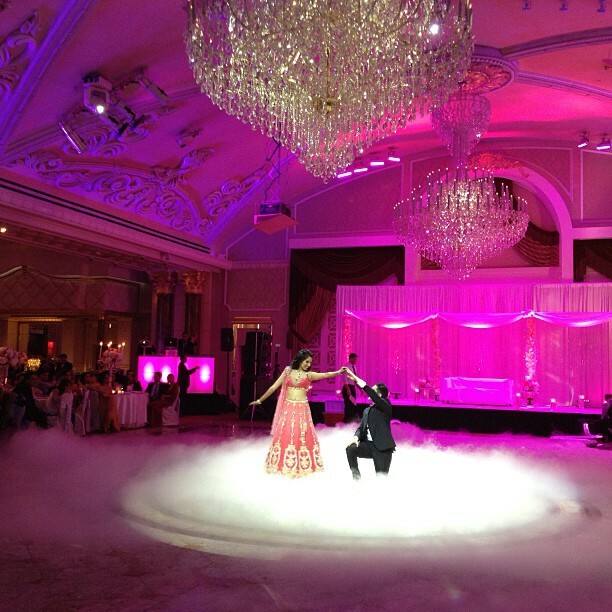 Last month, DJUSA rocked a special wedding at the Venetian. 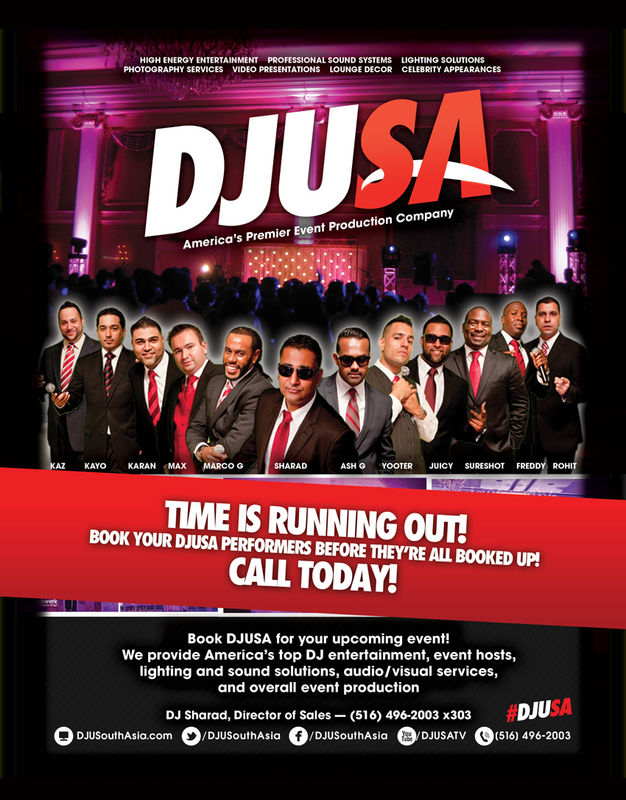 Before getting started at DJUSA, many of the DJ's were part of NYC's top promoting team – All Star Entertainment. As a former All Star, it was no surprise that when the groom planned his wedding, he selected DJUSA to rock all his wedding events. He faced a tough decision of selecting the one DJ to spin his wedding reception. DJUSA came through with a triple play and all three all star DJ's – DJ Sharad, DJ Ash G, and DJ Juicy rocked the crowds with different dance sets as each DJ played their top music during their session. MC Max engaged the crowd with the announcements and kept the dance floor going! To top it all off, the couple upgraded their sound system to DJUSA's new Line Array Nightclub Supreme sound system. This was certainly a wedding that no one, including DJUSA, will ever forget! Wedding season is in full effect, and DJUSA is ready to rock! 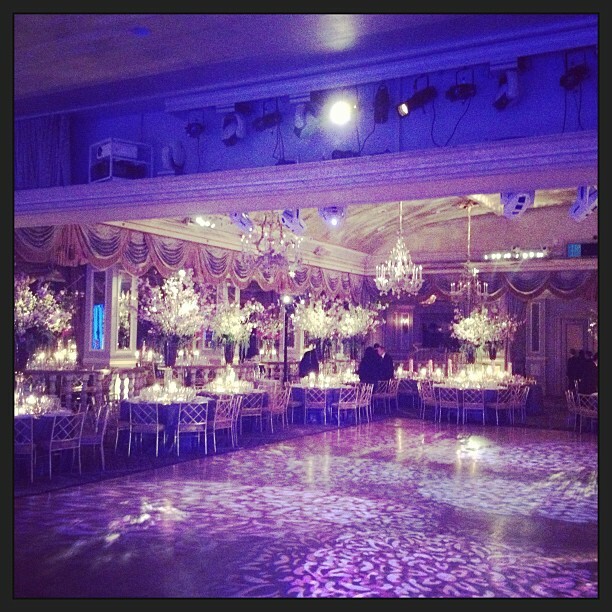 In mid April, DJUSA was hired for back-to-back wedding events at NYC's top luxury venues. 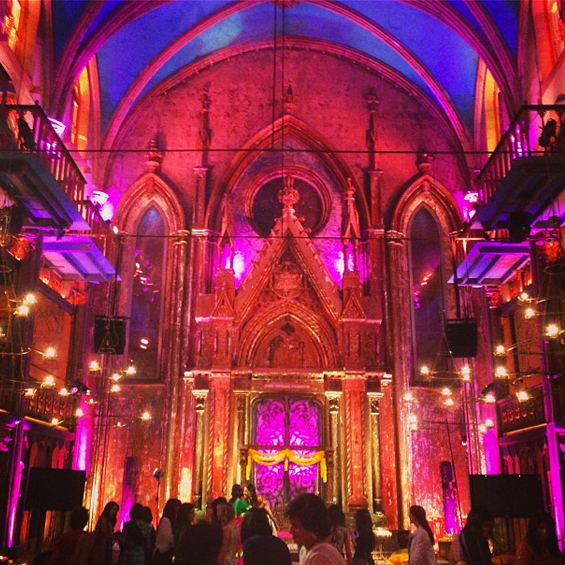 The weekend started with the mehndi at The Angel Orensanz Center in the Lower East Side, followed by the sangeet at Cirpriani 42nd Street, and wedding and reception at the Pierre Hotel in Midtown. DJUSA was there to make it a memorable weekend for the families with a full suite of services including state of the art sound systems and lighting. The couple also hired live music for their cocktail hour and included DJUSA's jazz trio. DJUSA's team worked around the clock the entire weekend to ensure that every detail for the event was not overlooked. DJs Karan & Juicy, along with MC Max, kept up the high energy and positive vibe throughout the weekend! 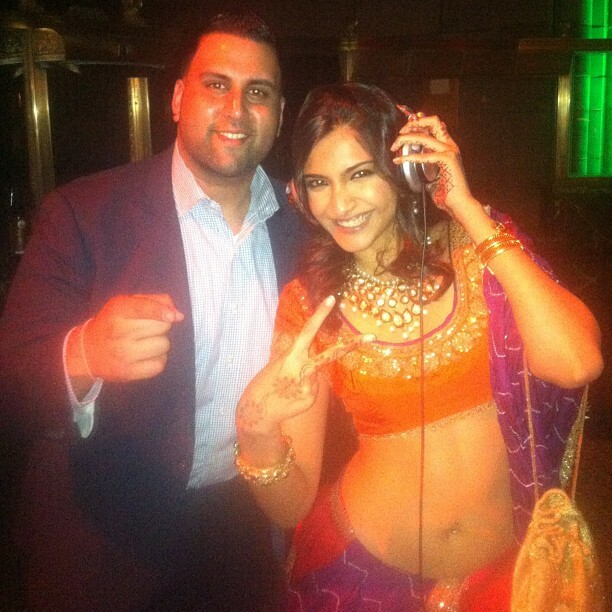 Left: DJ Juicy with Sonam Kapoor at Cipriani 42; Right (top to bottom): The Pierre Hotel; Angel Orensanz Center. 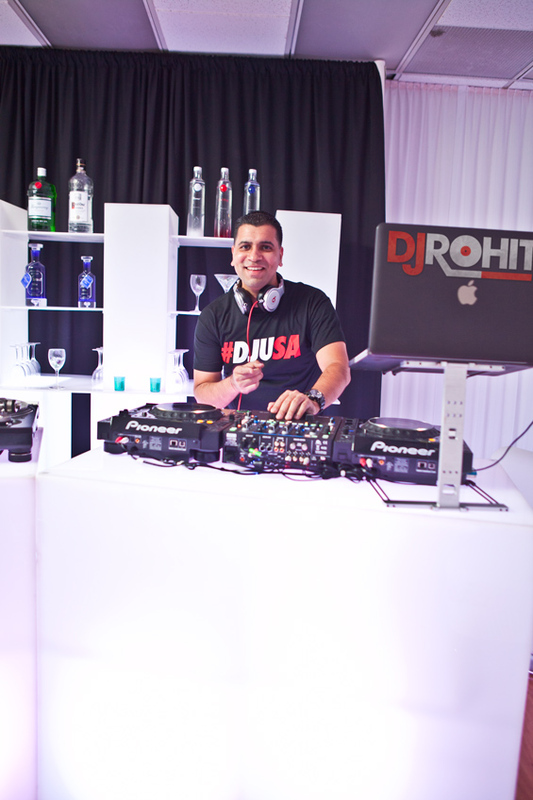 DJ Rohit has quickly become one of DJUSA's most popular performers, thanks to his clean cut mixes and ability to keep the crowd jumping on the dance floor. 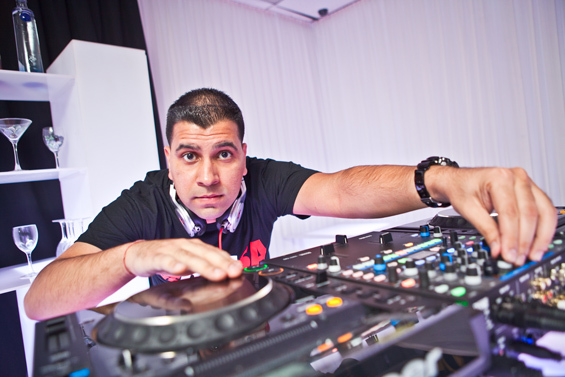 Rohit continually produces some of the most well known and widely circulated crowd rocking remixes and refixes of popular Bollywood and mainstream hip hop tracks, many of which are used by other performers and DJ companies around the world. I always loved listening to music. When I was younger I would tell my parents that I am going to bed early almost every other day, but instead used to hide under my blanket and listen to music all night long on my Song Cassette Walkman. After moving to U.S I use to watch my cousin DJ Juicy practice everyday with his DJ equipment. He taught me a lot of things about DJing and I also picked up a lot by watching him. Juicy introduced me to DJ Sharad who one summer who hired me as a roadie and taught me everything I needed to know about DJing private parties. After that summer I stepped up my game, and started spinning at DJUSA events. How was growing up in India for most of your life influenced your music style? Growing up in India influenced my music style immensely. India provided me with a strong background in Bollywood music. However, my love for music was not just limited to Indian music. I learned and still continue to learn about different genres of music from watching different DJ's spin. I still remember I would make a long list of songs that I heard or liked and no matter how late I got home after a party I would make sure that I had all those songs before going to sleep. What do you love about your job at DJUSA? As an entertainer I love rocking parties with packed dance floors. I love to hear appreciative comments from guests such as "The music was so good that I didn't want to get off of the dance floor" or the bride and groom saying "they were having so much fun dancing with their guests that that they did not have time to eat dinner." Rocking crowds, the packed dance floor, and having a role in making events memorable for the guests of honor is what I love about my job at DJUSA. Please tell us more about your work in helping clients with remixes. In addition to my role as a DJ at DJUSA on weekends, I also work as the production manager during the weekdays. I also help clients with custom remixes/edits. Many times our clients have an idea when it comes to remixes, but they are not sure how to implement it or if it will work. I work closely with clients to bring their ideas to reality by creating custom mixes. Whether it is a dance performance edit, custom first dance edit or a custom cocktail hour mix, I make sure that the remixes/edits sound exactly the way clients envisioned. Not only do you just DJ, but we know you work in the DJUSA office during the week working with clients, creating remixes, speaking to venues, and coordinating the schedules for the team. How does this impact your perspective as a DJ? As a production manager at DJUSA I work with clients helping them with any questions regarding music. I also work with venue managers in coordinating event and setup times to make sure the DJUSA team has all the information needed to rock their events. By talking to clients and helping them with music always gives me different ideas that I use in my parties and dance sets. Where do you see yourself as a DJ in the next 5 years? In the next 5 years, I see myself rocking parties all over the world with DJUSA. Next month, I'm set to travel to the Cayman Islands for a private event. I have goals to be enrolled in Audio school and learn more about the production aspect of music because I've always wanted to produce my own songs.